Curated Library of free and paid terminal emulators. Hyper.is is a beautiful and extensible, cross-platform terminal built on open web standards. It is consistent across all supported platforms which includes macOS, Windows and various Linux distributions like Fedora and Debian. It is an enhanced terminal for Windows with X11 server, tabbed SSH client, network tools. An advanced terminal that gives Windows users a powerful, Unix-like command-line experience. Terminator, multiple terminals in one window. The goal of this project is to produce a useful terminal emulator tool for arranging terminals. GNOME Terminal is a terminal emulator for the GNOME desktop environment written by Havoc Pennington and others. Terminal emulators allow users to execute commands. SSH and SFTP client for Windows incorporates with one of the most advanced graphical SFTP clients, state-of-the-art terminal emulation. Konsole is a free terminal emulator which is part of KDE Software Compilation. Terminal is a modern terminal emulator for the Unix/Linux desktop – primarily for the Xfce desktop environment. Guake is a dropdown terminal made for the GNOME desktop environment. Guake’s style of window is based on an FPS game, and one of its goals is to be easy to reach. The specialties of Tilda are that it does not behave like a normal window but instead, it can be pulled up and down from the top of the screen with a special hotkey. It is an alternative to popular terminal emulators such as gnome-terminal (Gnome), Konsole (KDE), xterm and many others. 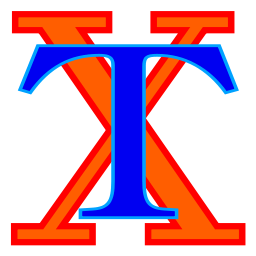 The xterm program is a terminal emulator for the X Window System. It provides DEC VT102 and Tektronix 4014 compatible terminals for programs that can’t use the window system directly.